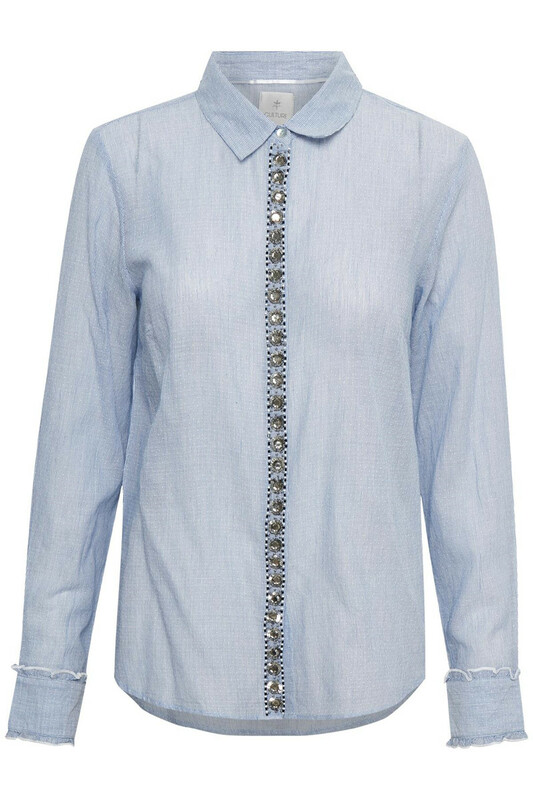 Lovely shirt blouse from Culture with great design details. 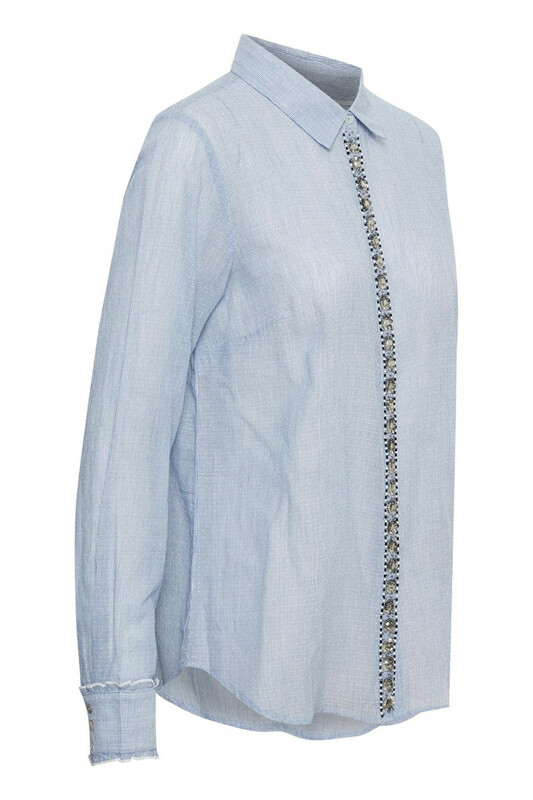 The blouse has long sleeves with button closure, a beautiful pattern and has a hidden button closure on the front. 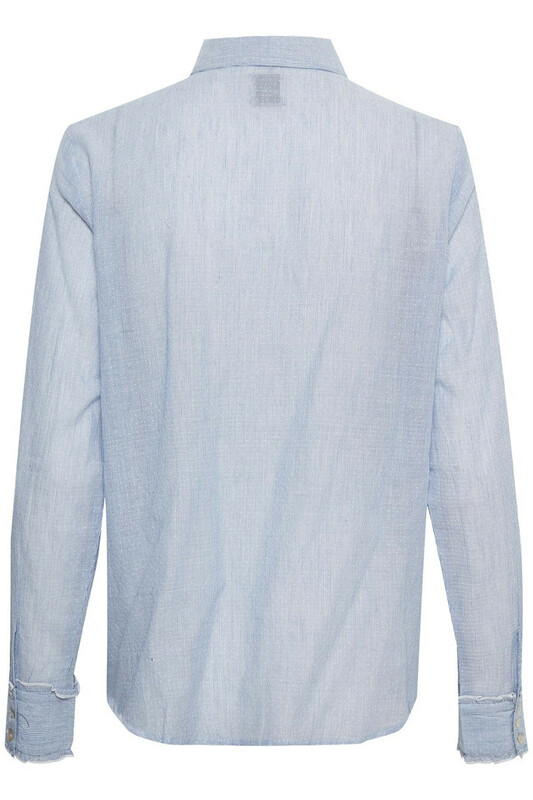 The shirt has a regular fit and the fine details are reflected on the shirt's sleeves and front. The sleeves have nice ruffles that creates an elegant and feminine look. 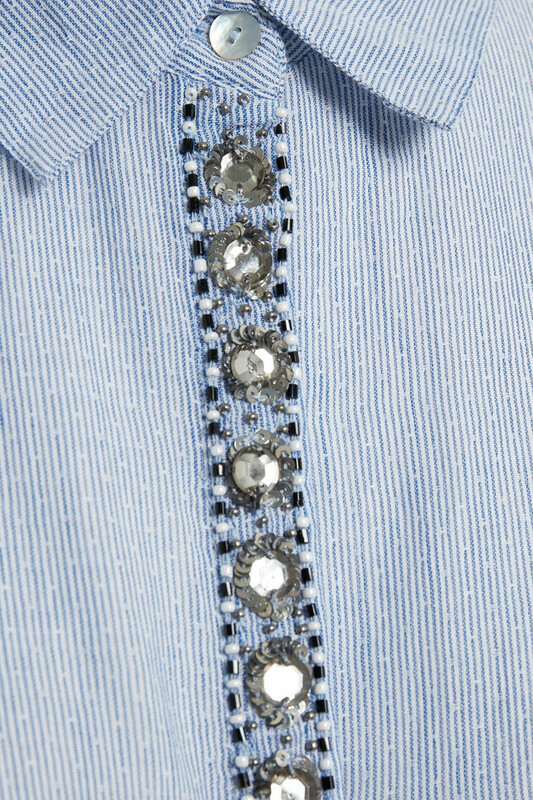 The front has a beautiful artwork consisting of rhinestones, pearls and sequins. With its feminine look, the shirt is an absolute winner for everyday use and evening events, and it works really well for both pants, jeans and skirts.